One of the things I like most whenever we go to our favorite Mexican restaurant is the chips and salsa we get before our meal. I have to admit that some times I eat so many chips that I am full by the time we get our food on the table. But it just tastes soooo good! Especially with margaritas on the side. As with many other recipes, I tried all kinds of different recipes to make a really good salsa thinking there had to be something special that I was missing. Some of them were really complicated where you had to roast a whole bunch of vegetables with weird and hard to find peppers to later blend them in a food processor. And then I just said, forget it, I’ll just blend canned tomatoes with green chilies, a little bit of onion, garlic and lots of cilantro (because I adore it!) and see what happens. 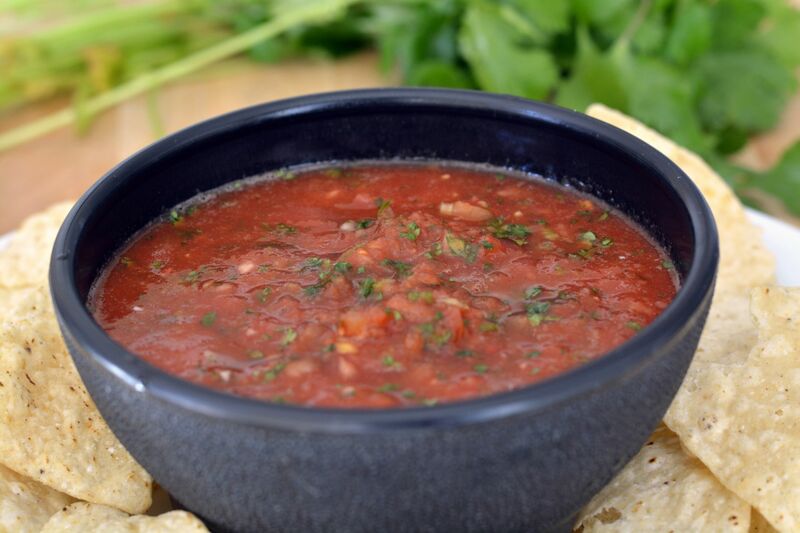 Turns out that’s all you need to make amazing salsa. Who knew?! Well, I’m sure others did but I tend to think that things are more complicated than they really are. Like I said, this recipe has tons of cilantro, stems and all, simply because I love the taste, but you can add less if you want. 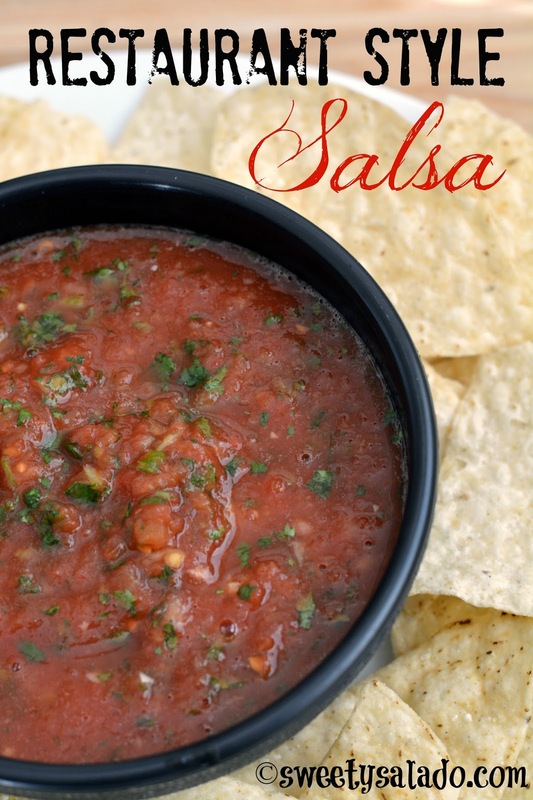 The can of Rotel (tomatoes with green chilies) is what makes this salsa, but you can add 2-3 more canned tomatoes and about 2-3 tablespoons of canned green chilies as substitutes if you can’t find it where you live. As for the texture, you can blend it less to make it really chunky or blend it more to make it as runny as you want. Whichever way is fine. Blend all the ingredients in a food processor or blender until you reach your desired consistency. I recommend blending it in batches since this makes a large amount of salsa. Cover it and store it in the refrigerator for at least one hour before serving. If you can't find Rotel, you can add 2-3 cans of tomatoes and 2-3 tablespoons of green chilies as substitutes. Tomato ketchup can be used? No, ketchup has sugar in it.